Quote "CDP#2095007" at time of enquiry/reservation. Offer is valid for self-drive rentals on Affordable Rates (leisure retail rates) from 27 January 2017 to 31 December 2019, for car pick-up till 31 December 2019 at all participating locations in United States, Canada, Europe (Belgium, France, Germany, Italy, Luxembourg, Netherlands, Spain Mainland, UK), Australia, New Zealand and Asia (Brunei, Hong Kong, Malaysia, Pakistan, Philippines, Singapore, Sri Lanka, South Korea and Thailand). Reservation must be made at least 24 hours prior departure and 48 hours for destinations in Asia. Discount applies to time and mileage charges only, and does not apply to taxes, fees and optional services. Quote (Corporate Discount Program number) CDP#2095007 at time of enquiry/reservation. Discount is valid for all car groups (excluding Hertz Collections) for minimum 1 day rental. 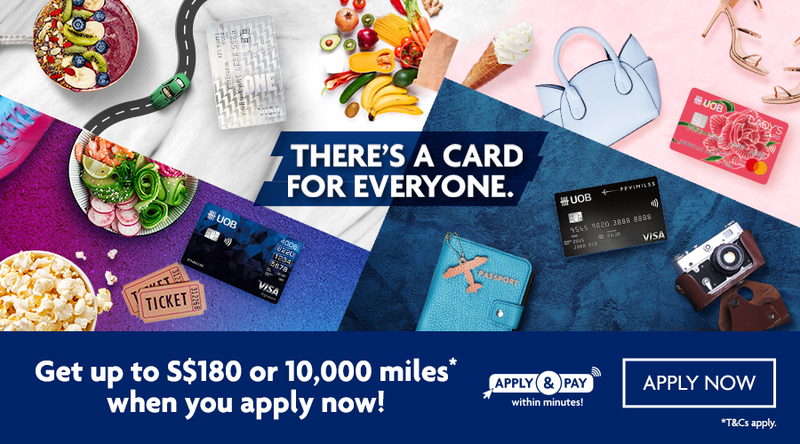 Valid for UOB debit and/or credit cards. Valid UOB debit or credit card must be presented during car pickup and for payment. Note that debit cards are only accepted at selected locations in United States, Australia and Europe. Payment will be made in Destination Currency. This offer has no cash value, may not be used with tour rates or insurance/dealer replacement rates and cannot be combined with any other certificate, voucher, offer or promotion. Modifying your reservation may result in a change in your rate and/or invalidate this offer. Hertz standard rental qualifications, rental period and return restrictions in effect at time and place of rental as per applicable rate plan terms and conditions apply. Minimum rental age applies and all drivers must be in the possession of a valid driver's license, which must be held for at least 1 year (exceptions apply). Standard Affordable Rate rules and restrictions apply. Blackout dates apply. Hertz reserves the right to modify and/or cancel any offers without prior notice.